"Mike has been a friend for years, and has led the state to new heights of environmentalism and education, while ensuring that a new generation of leaders move our state forward," Miller wrote. 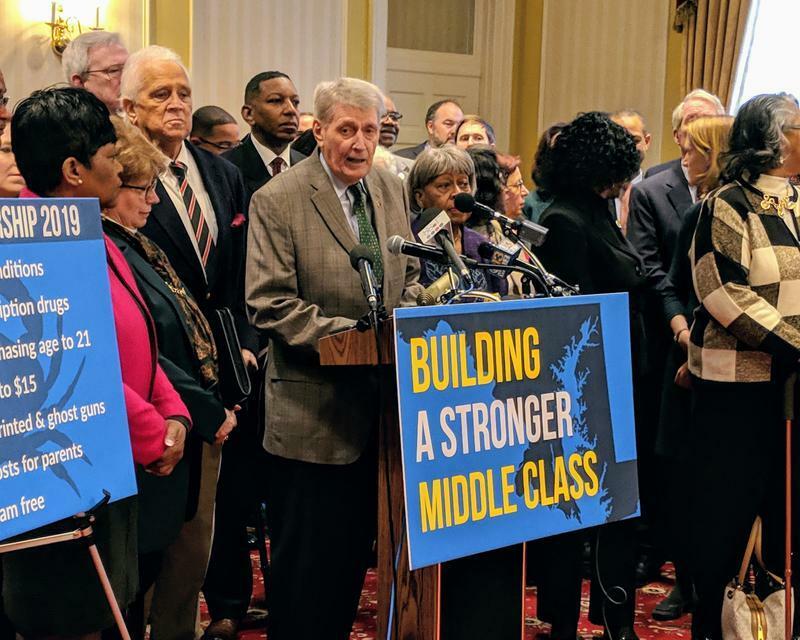 "He was a true model of a State Delegate; he cared for every corner of the state, but never forgot about the people he was elected to represent." Gov. Larry Hogan, who crossed swords recently with Busch over several issues, called him "a giant in our government." "This is a profoundly sad day for Maryland,” Hogan wrote. “He cared deeply about improving the lives of Marylanders, and his legacy is evident in his many legislative achievements. Annapolis Mayor Gavin Buckley said in a statement Busch was a friend long before he wasa political colleague. Statements came from environmental and union groups as well. “Throughout his tenure he fought for cleaner air, cleaner cars, and a pollution-free future in the face of climate change. We will always remember his legacy, and we will miss him dearly."